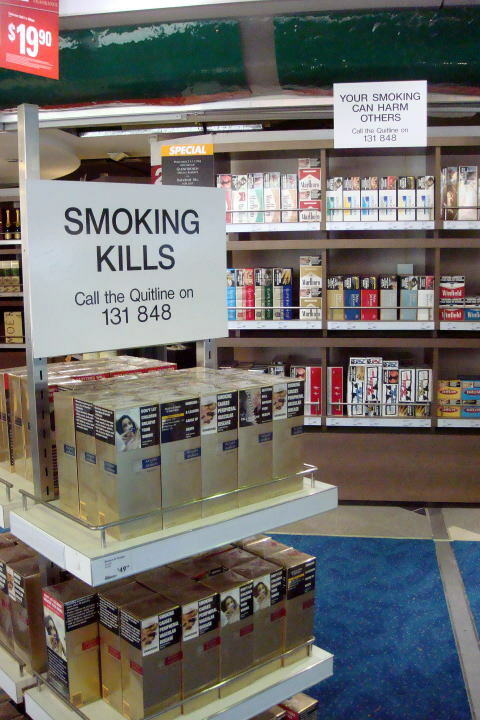 A health warning for smoking at the tax-free shop of Sydney International Airport, New South Wales. 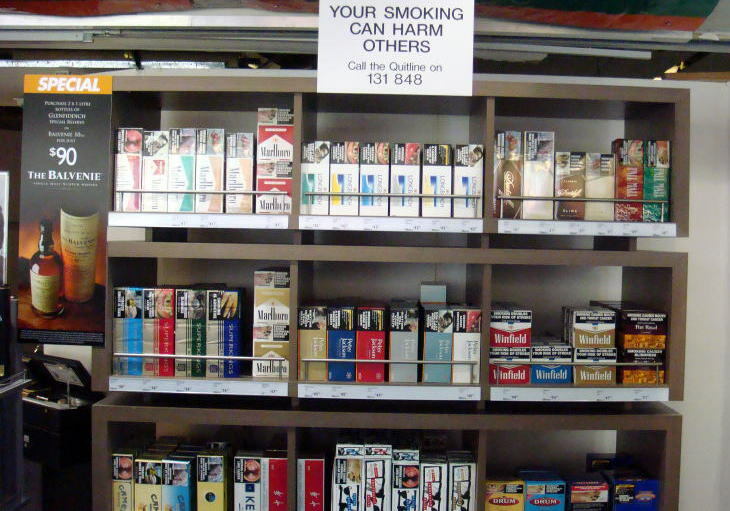 A health warning for smoking at the tax-free shop of Adelaide International Airport, South Australia. A cigarette is inside of a glass showcase. 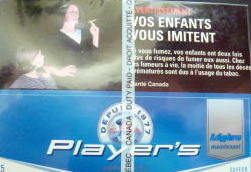 Unless we call a clerk in responsible, we cannot touch the tobacco package. 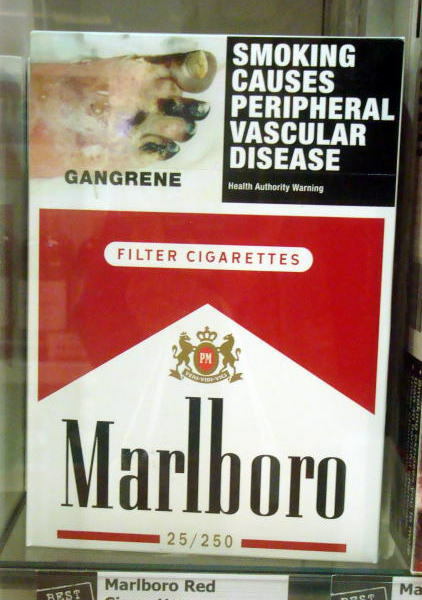 A cigarette is placed inside of a glass showcase. The article was written and photographs were taken by Dr. J. Miyamoto, in May 2007.